More information on PA Events can be found at http://pay.scdpaevents.co.uk/ where tickets/merchandise can also be purchased. Tickets are still available following the link above for our annual quiz night - always a fantastic night out and a great opportunity to pit your wits against the teachers! If you would like to be in with a chance of winning one of the 17 cash prizes drawn throughout the year and raise money for the school at the same time, please fill out our form which is available to download at the bottom of this page. The PA Committee is a fun, vibrant team of committed parents. 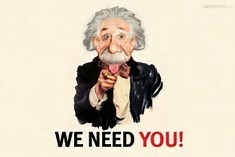 We have several roles available on the committee and we are always looking for volunteers to support our events. Please contact us on scdpavolunteers@gmail.com if you feel you could spare a bit of time to support the PA and the School.